Car accidents are never fun and you almost never see them coming. Rear end collisions are the most common, and will likely leave you and your vehicle in some pain. Many things lead to distracted drivers causing rear end collisions; some occur at higher rates of speed that result in substantially more damage, and others occur at slower rates resulting in what appears to be no damage. If your vehicle has been involved in a rear end accident, there are certain things you should check before getting back on the road again. Even if your vehicle looks as though it is good and there is no damage, it is still important to have a reputable auto body repair facility inspect it to ensure it is safe to drive. Your vehicle’s trunk should open and close smoothly. If it does not after a rear-end collision, that means that there could be some damage to rear cabin components. While an issue like this doesn’t impact driving much, it can have major impacts on the resale value of your vehicle and can also create a safety hazard if the lid suddenly swings upward while driving, blocking rear visibility. If you notice trunk problems, a collision expert can perform the repair safely and quickly. There’s a high possibility of transmission damage from a rear-end collision in cars that have rear-wheel drive since the transmission is located toward the back of the vehicle. This means you have more to think about when it comes to auto body repair than that crumpled fender or dented bumper. Even if there appears to be no damage, critical components could be affected beneath the surface. In rear end collisions, there is often damage behind the bumper cover. Most modern vehicles use plastic bumper covers that don’t provide a lot of protection between the frame of your vehicle and another, even if it’s a small car that caused the impact. In short, you can’t always rely on the visual appearance to be sure there’s no damage. Always check. If you notice changes in the way your car handles after a rear-end collision, your alignment is probably off. The most obvious symptom of an alignment issue is uneven driving or steering wobble where the wheel pulls to one side. There may also be vibration during driving where the wheels pull against each other as the car is moving. In a rear end collision, you will find the driver that causes the accident will probably sustain less injury than the other driver. The driver causing the accident will likely apply the brakes just before impact, which already has their body in a forward motion as their vehicle leans forward under heavy braking. 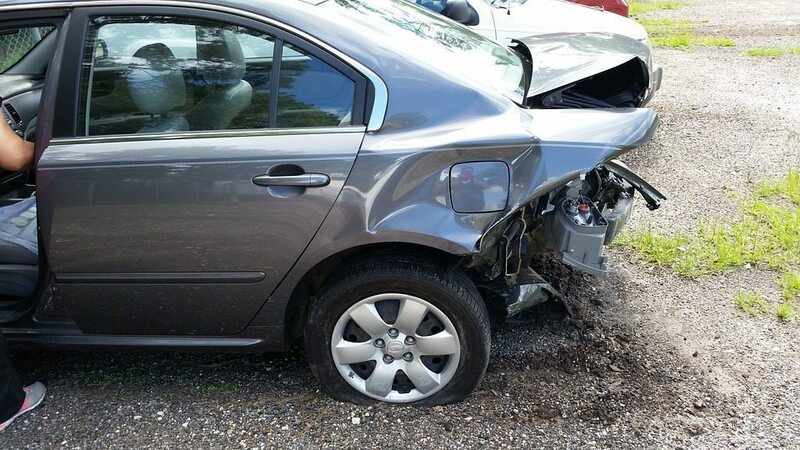 If your vehicle has been involved in a rear end accident, it’s a good idea to bring it into a professional who can diagnose the situation and get you going again.